Discount available! 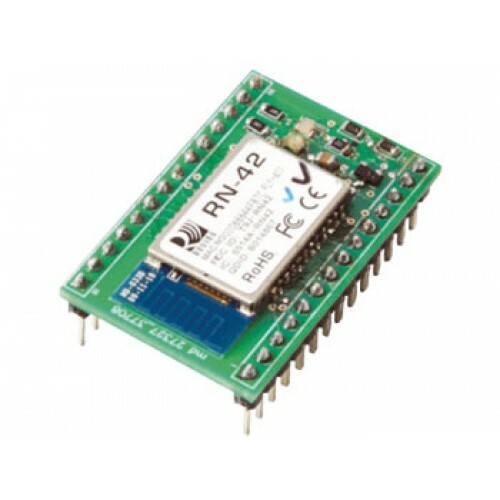 Recommend Breakout RN-42 Bluetooth module to your friends and get your Discount. Breakout board with Bluetooth module RN-42. It has two pin-strip to 2,54 mm each from 14 contacts. 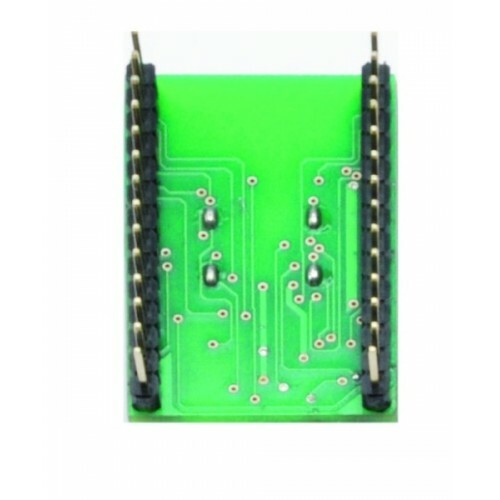 The pins PIO5 PIO2 drive the LED Status and Connect; to use these pins as general digital I / O, you can disconnect the LEDs using the solder jumpers JP1 and JP2. For simplicity of software, the pin PIO7 is instead connected (via the jumper JP3) to a pull-up resistor, so that the baud rate of the UART port is forced to 9,600 bps. In the socket there is a section on the management of the hardware reset, leaving open the jumper JP4 is possible to disable this function. The module is managed through appropriate commands sent through the UART connection. The card is supplied already assembled and tested.